In this easy crock pot recipe, dried lima beans – or butter beans – are slow cooked to perfection with smoked sausage and a few seasonings. A small amount of Tabasco adds a punch of flavor to these delicious beans that make a great side or main dish, depending on your preference. 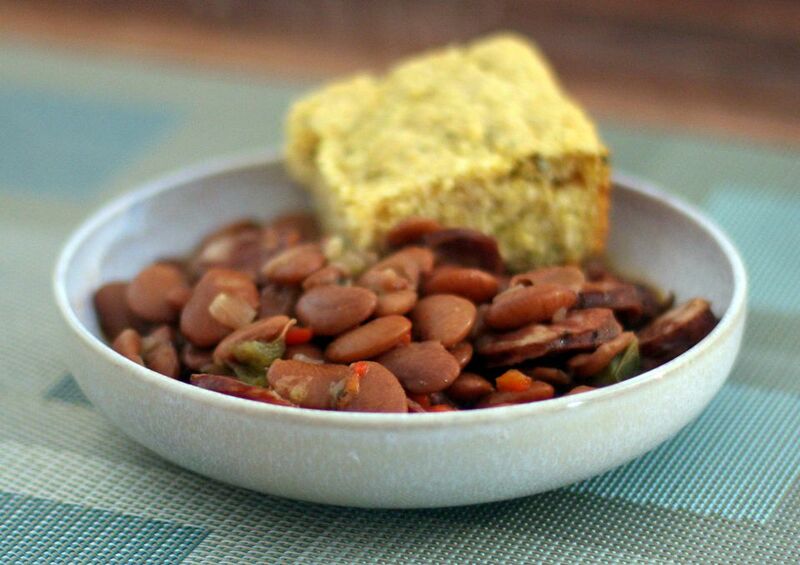 Wash beans and put them in a slow cooker. Add 6 cups water. Slice smoked sausage into round pieces and add to limas. Chop green onions and add to mixture. Now add remaining ingredients and mix. Cover and cook in slow cooker on high for 8 to 10 hours.